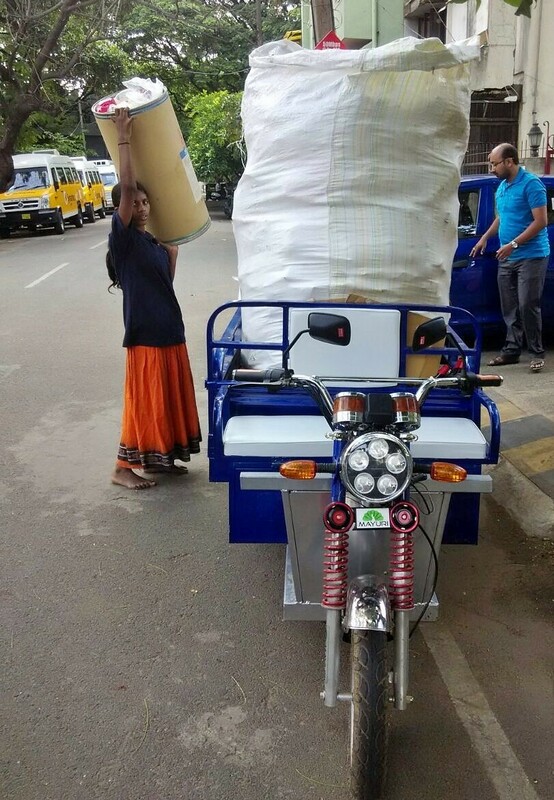 Hasiru Dala begins dry waste collection (non-biodegradable waste) from individual households on electric tricycle in Basavanagudi. This is first of its kind and is a part of ‘donate dry waste’ campaign initiated by the organization in collaboration with Mindtree Pvt. Ltd. In past months, Hasiru Dala has been receiving requests from its partners and residential neighborhoods to begin door to door collection of waste. It is not economically feasible to get into the door to door collection of waste from individual households. Still to respond to the requests made in the most economically viable way, organization and its partners have decided to concentrate their energies on dry waste collection in residential neighborhoods and named the new venture “donate dry waste”. The pilot of the campaign is being done in Rajarajeshwari Nagar and Basavanagudi with the help of citizen activists. As a part of the pilot programme, six citizen activists undertook a survey and awareness campaign in and around Lal Bagh and Basavangudi and thereby reached 200 households in the area. After that they identified 110 households and geo-tagged them. Green ribbon has been tied to the gate to make it easier for workers of Hasiru Dala to collect dry waste. Dry waste from the tagged households is being collected once a week- every Saturday between 8 and 12 in the morning. Currently more than 140 kilograms of dry waste is being collected on weekly basis for no –charge on e-tricycle and sent for recycling. The venture is providing regularized income to Azeema, Mansoor and other two erstwhile informal waste workers assisting them. Further, streamlining of dry waste collection is encouraging households to segregate their waste properly. 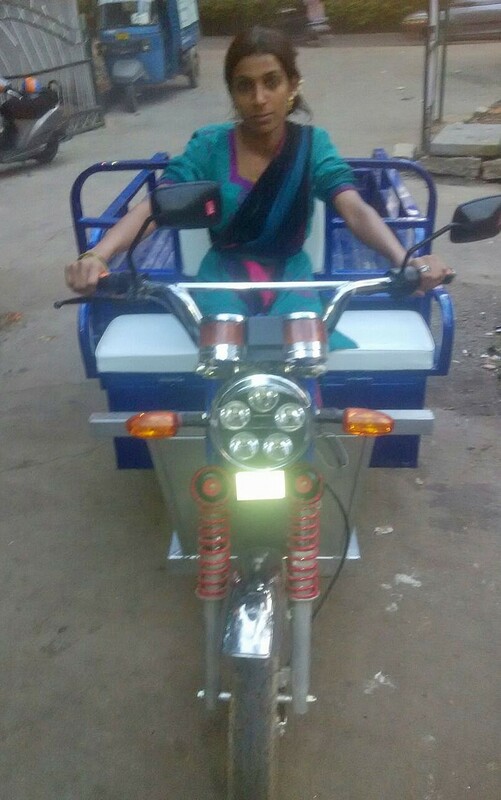 To strengthen “donate dry waste” campaign– an anonymous donor donated E-tricycle to Hasiru Dala. E-tricycle has reduced the time spend on waste transportation, reduced fuel costs and made the services more efficient. In addition to that, no license is required for the vehicle. Once charged for 8 -10 hours, electric tricycle can run for 72 hours. If you want to be a part of donate dry waste campaign- please log-on I got garbage.